Brandon Ayala is choreographer, performer and instructor from Lines Dance Studio in Portland,OR. He specializes in mambo shines, styling and Advanced turn patterns. He has traveled nationally and internationally to congresses all over the continent. Performing and teaching his dynamic and unique style. In 2013 he became a 2x World Salsa Champion in the Junior Couples Division and Solo Junior Division. 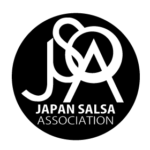 Michelle Morales began learning salsa at the age of 11 in her home town, Stamford, Connecticut. She then had the opportunity to dance with Jayson Molina from Puerto Rico and his Rompecabezas team. By the age of 18 she continued her training in New York City, and was welcomed to join the world-renowned Yamulee Dance Company Professional Team led by Company Director Osmar Perrones. 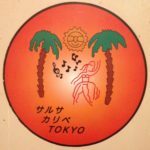 Michelle quickly rose to the status of one of the principle dancers for Yamulee, and for the next 5 years after, she performed and taught all over the world. Michelle has currently partnered up and performs with the very talented Brandon Ayala, debuting their first piece together “Tamacun”. Michelle is known for her feminine and graceful technique which she has developed over the years, while staying true to her powerful stage presence and body movement.